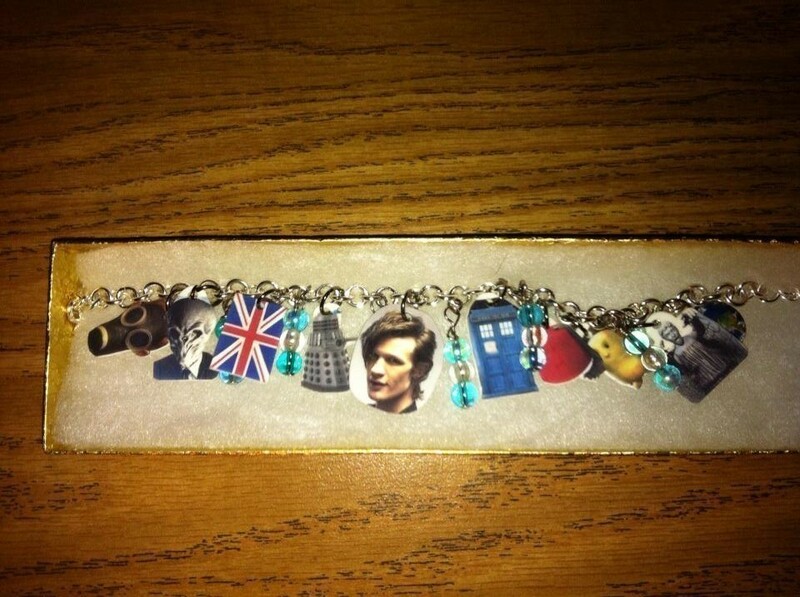 I made this for my friend for Christmas she loved it we are both big Doctor Who fans. Find pictures of the charms you want online. Lighten the pictures on a editor I used photobucket.com and I lightened then about 30 percent this is a important step because otherwise when you bake your shrinky dinks they will bleed ink. Next print the pictures on the shrinky dink paper make sure you print them on the right side then put your shrinky dinks in the oven. Next cut out the shapes and leave room to punch a hole at the top so you can loop a ring threw it for later. Next punch a hole out of all of the charms.